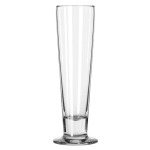 The Libbey 3823 tall beer glass has a slim design and gently tapered shape that is perfect for serving wheat beer and pilsners. The short, thick stem at the bottom of the glass meets a stable foot, adding additional space for users to hold the glass and avoid warming the drink with transferred body heat. 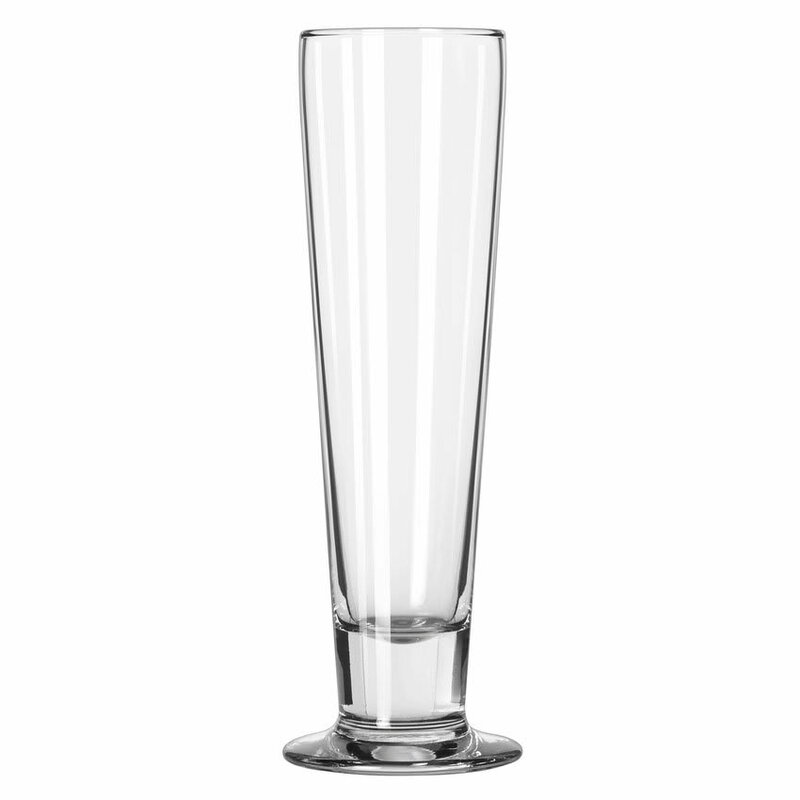 As part of the Catalina pattern, this beer glass is protected by the Safedge rim and foot guarantee, which will help lower replacement costs if it chips at the rim or foot during use. Overall Dimensions: 93⁄8 in. H x 23⁄4 in. top dia. x 31⁄4 in. bottom dia. x 31⁄4 in. max dia. "The packaging needs to be more secure. The glasses broke off at the stem and chipped at the base. Not safe serving anyone." Some of the glasses that came in broke!